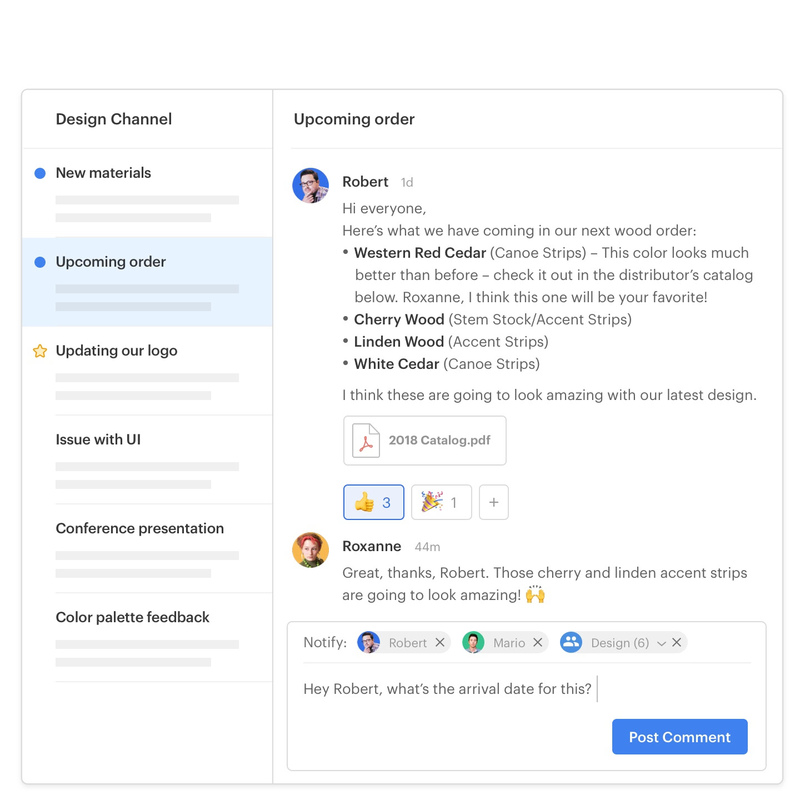 On any given team, there can be hundreds of conversations happening at once – spread across inboxes or jumbled together in group chats. Keeping up with it all is overwhelming. Important information gets lost. Communication suffers. Threads keep discussions organized and accessible to everyone. 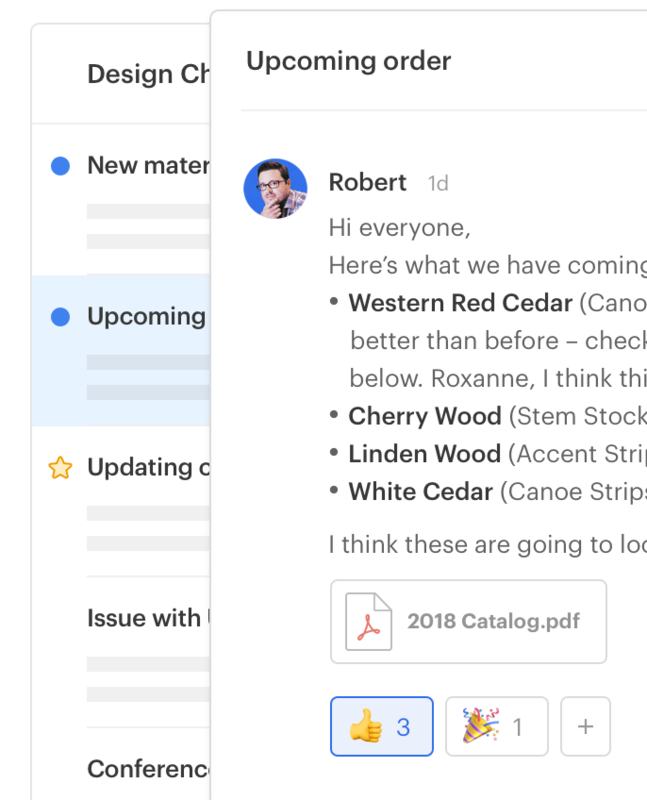 With one topic per thread, your team can easily keep track of parallel conversations and stay up to date on what’s happening. 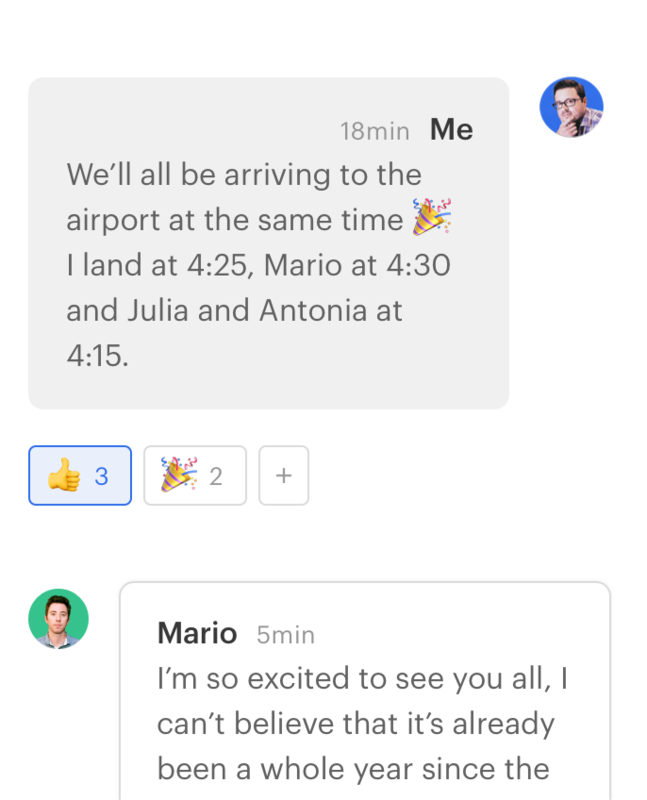 Twist makes it remarkably easy to have several conversations about different topics running simultaneously, without losing track of each one. 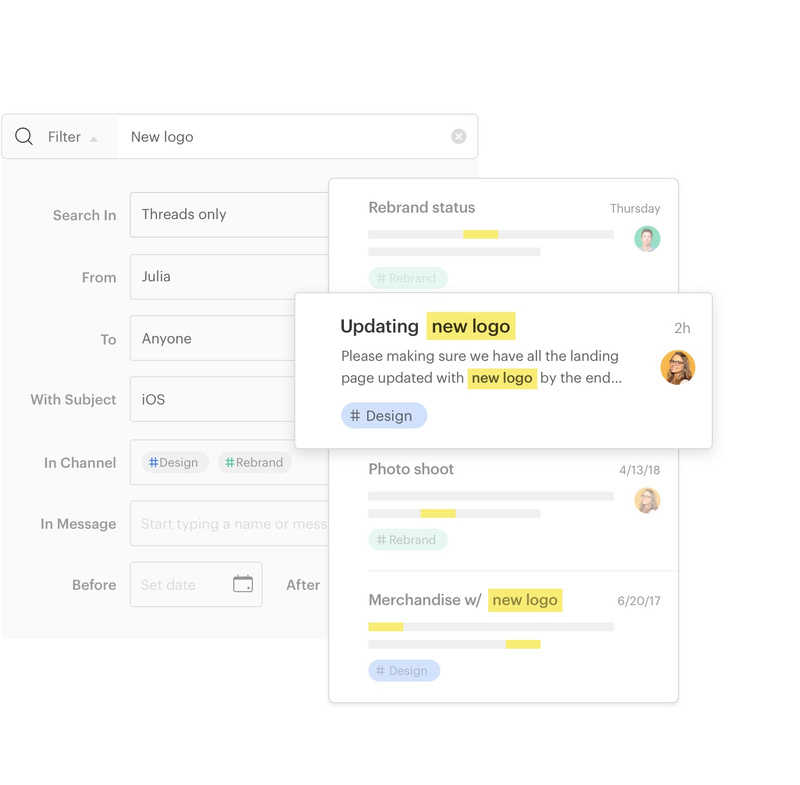 With clearly titled threads and powerful search, your team will be able to find any topic or decision – even years later. It’s browseable, searchable team knowledge that builds itself. We now have a place where over 500 of us can exchange information, find any necessary files and collaborate quickly when needed. Threads ensure that conversations won’t move on without you. That means you no longer have to check every little ping to stay in the loop. Disconnect to focus on real work and catch up when you’re ready. I don’t feel the need to constantly be “online”. 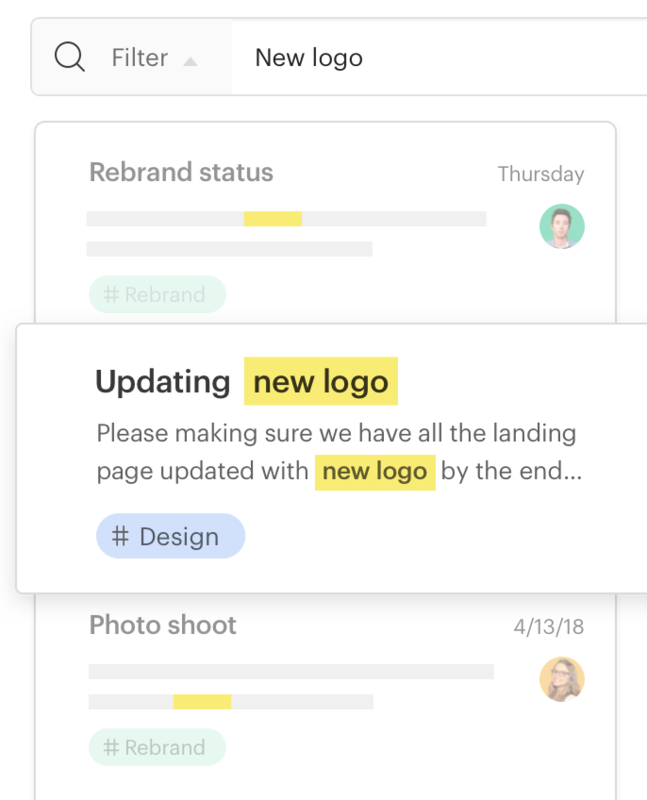 Our team uses Twist for deeper, structured communication instead of ad hoc comments on every conceivable topic. Just because we can communicate at the speed of instant messaging doesn’t mean we should. In Twist, people have the time and space to read a thread, think about it, and respond more thoughtfully later. In Twist, people feel they can respond when they have time, and for complicated conversations they can take time to be more thoughtful and engaged in the conversation. 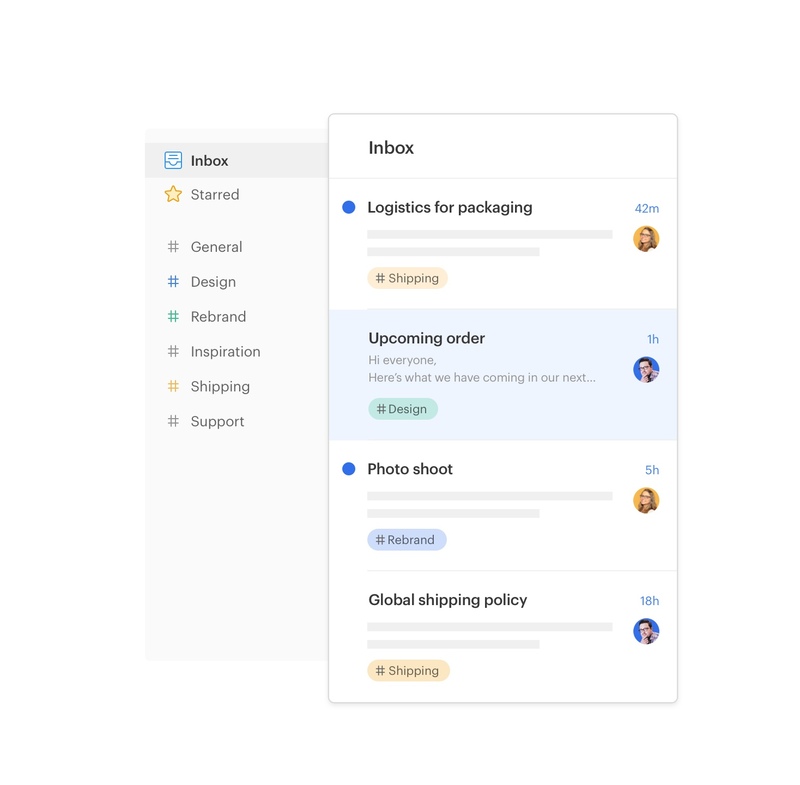 Threads keep conversations organized by topic so it’s easy to come back to them hours, days, or even years later. 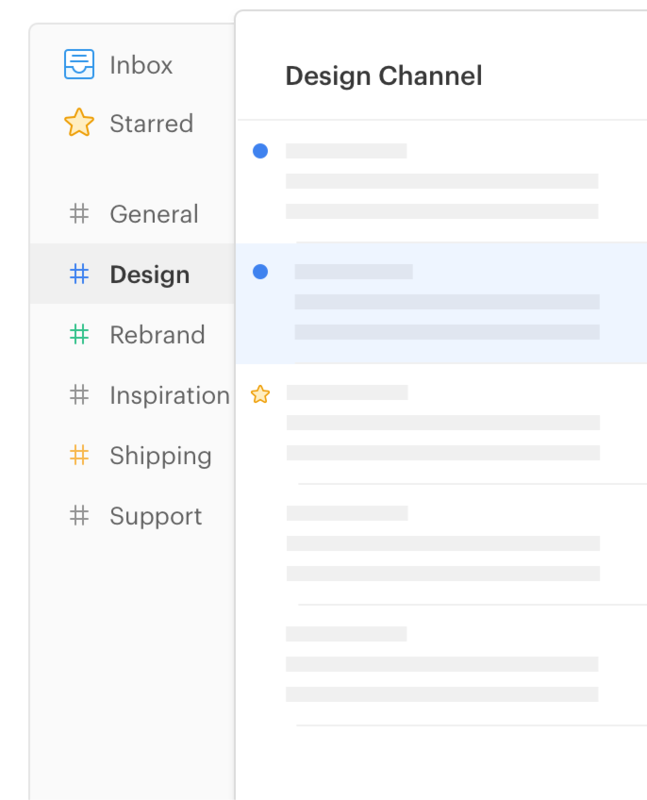 Channels organize threads by department or project. Browse public channels to get a bird’s-eye view of what’s happening. Messages are private conversations with one teammate or a group. Talk privately, quickly check in, or just socialize. The Inbox gathers all the threads that are relevant to you in one place. Check in here to catch up on what’s new. Search unearths any piece of information you need along with all the context of the original conversation. No pressure to stay connected all day and respond immediately. Less real-time-all-the-time, more deep work. Twist reduces noise by letting you choose exactly who to notify in each thread or comment. Control over notifications = control over your attention. You decide when to connect to catch up and when to disconnect to focus. Relax and recharge. Time Off stops your notifications and lets your team know that you’re OOO and when you’ll be back. 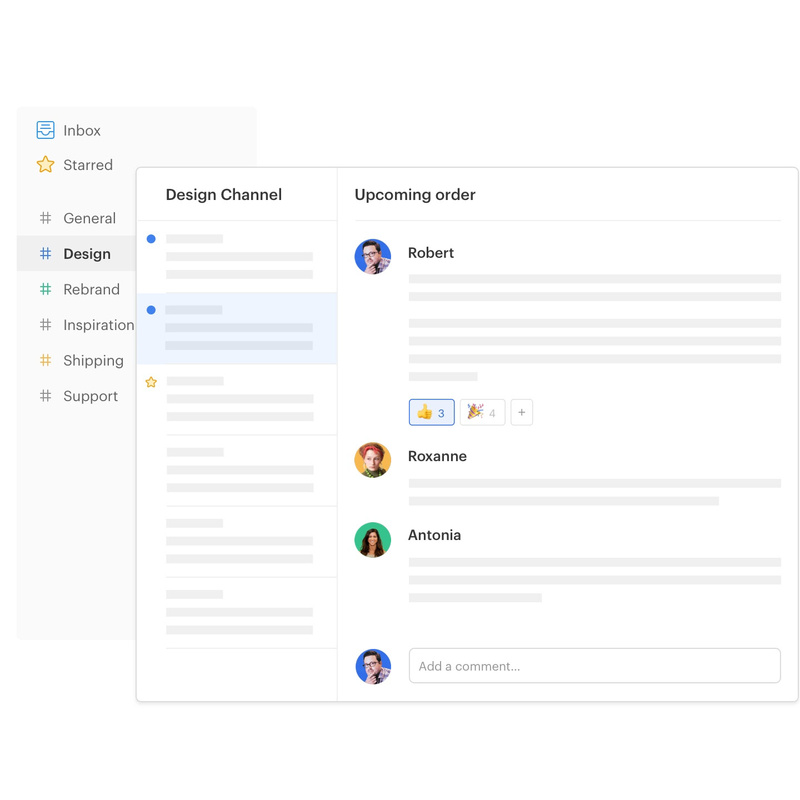 Streamline communication with contractors, freelancers, or consultants by inviting them as guests to specific channels. 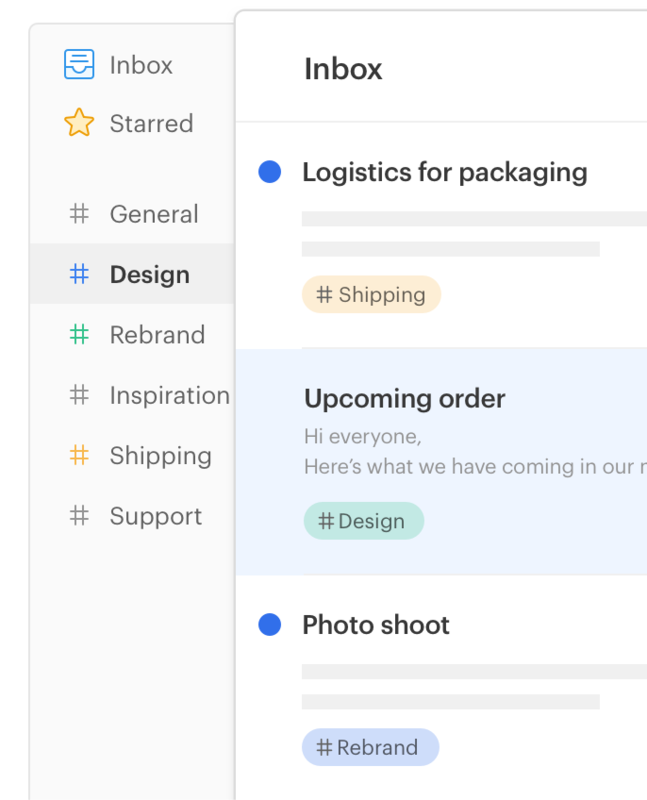 Launch video calls, automate reports, and get updates from apps like GitHub and Todoist — all from inside Twist. 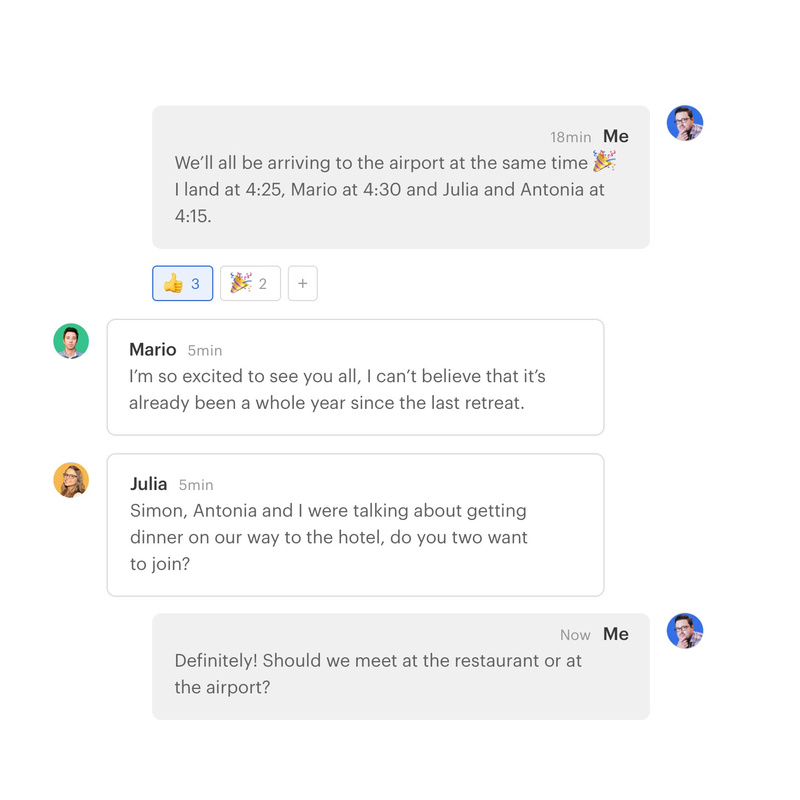 We built Twist because we believe remote work is the future, and that future requires a higher standard for communication: organized, transparent, and asynchronous. Keeping track of conversations is even more vital when you aren’t seeing each other in an office every day.